The Wall that Heals is a replica half the size of the Vietnam Veteran's Memorial that is located in Washington D.C. 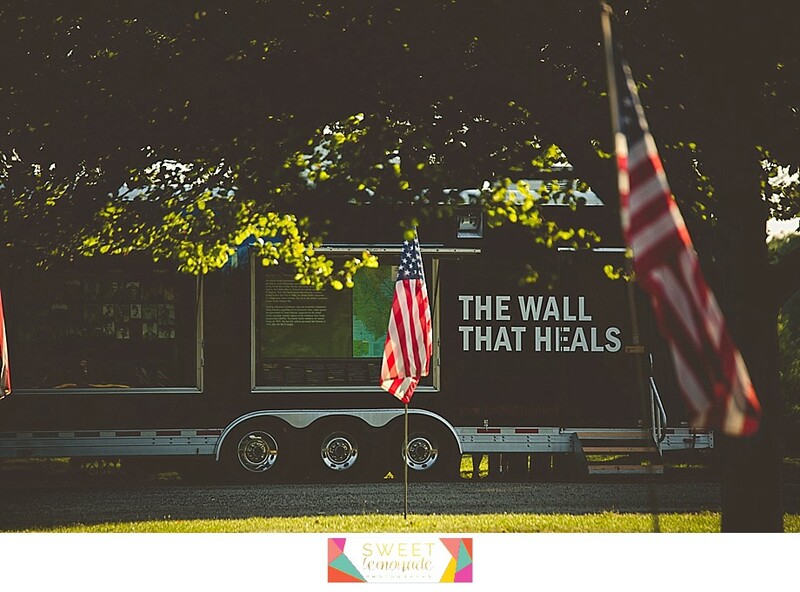 This traveling wall is located at Lake of the Woods Peninsula right off Lake of the Woods Road in Mahomet and will be open 24/7 until 3 pm Sunday, June 26th. Volunteers spent an afternoon earlier this week displaying 1,200 flags along both sides of the road on Prairieview, Tin Cup, and Lake of the Woods Road. It was such a beautiful sight. Gave me goosebumps. My dad fought in Vietnam. Although his plane, he affectionately named the Judy K (my mom's name), was shot down once he made it back safely to U.S. soil once the war was over. So walking by the 250 foot wall with 52,253 names, I was so very thankful my dad's name was not one of them. 37 residents of Champaign County were not so fortunate. A photo and information about each soldier are displayed on a monitor that remind you that those 52,253 names aren't 'just' names. Each of those names were someone's spouse, father, daughter, or friend. Each of those names represent someone who fought for you, me and for every person living in the US enjoying our freedoms today and for generations to come. I encourage you to attend the candlelight vigil tomorrow, Saturday, June 25th at 9 pm to honor the 37 Champaign County soldiers who lost their life in the Vietnam War. While you are there, you are encouraged to pick up a flag to remember a soldier. There were 1,600 Vietnam soldiers who are classified as missing in action. 1,600 families who probably held out hope for so long, praying that their son or daughter would be home soon... and they never did. And then there are those who survived. The Veterans, like my dad, who I considered fortunate. 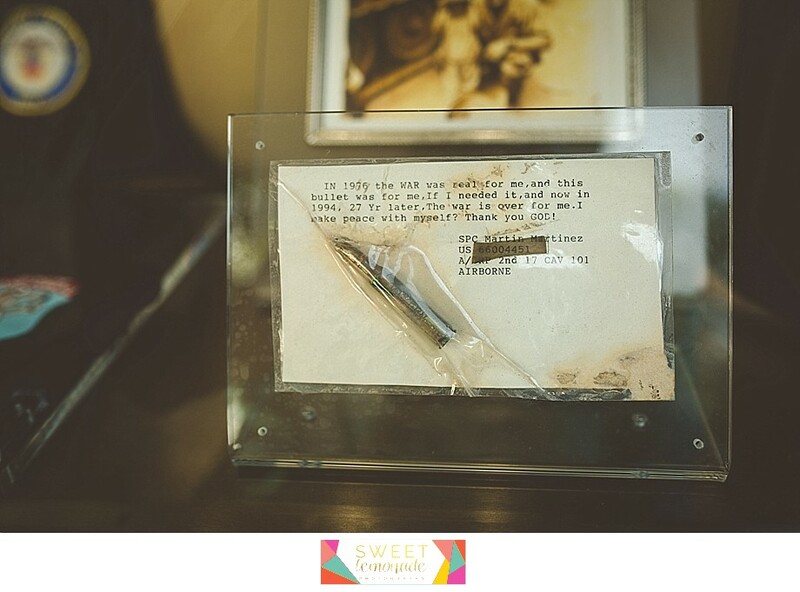 They are yet many come back from war completely changed and often with post traumatic stress disorder. Did you know that 22 Veteran's will commit suicide today? 22 men and women who fought to protect each and every one of us will commit suicide because of what transpired in war. 22 a day! And then I saw this photo. If the statistic I just shared isn't sobering enough, look at the photo below. Here are a few more pictures I took this morning. Please make time to go. Please take your kids with you. The next generation must not forget. Teach them to learn, understand and appreciate the sacrifices made.